International law evolved to end and prevent armed conflict as much as for any other reason. Yet, the law against war appears weaker today than ever in its long history, evidenced by raging armed conflicts in which people are killed, injured, and forcibly displaced. The environment is devastated, and the planet impoverished. These consequences can be traced to the dominant ideology of realism. In 1946, Hersch Lauterpacht challenged that ideology by contrasting it with the idea of international law, composed of natural law, positive law, and process theory. The Art of Law in the International Community revives his vision, rebuilding the understanding of why international law binds, what its norms require, and how courts are the ideal substitutes for war. The secret to the renewal of international law lies in revitalizing the moral foundation of natural law through drawing on aesthetic philosophy and the arts. Acknowledgements; Introduction; 1. Revitalizing the theory of international law compliance; 2. Prohibiting force through peremptory norms; 3. The UN Security Council for maintaining the peace; 4. The limited exception for self-defence; 5. Restricting exceptions for invitation and rebellion; 6. Revitalizing the process of international dispute resolution; Conclusion; Index. 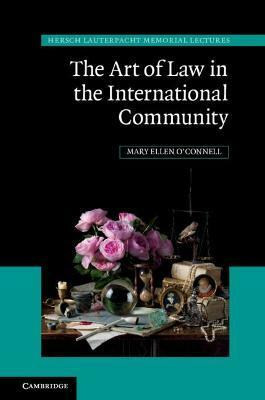 Mary Ellen O'Connell is the Robert and Marion Short Professor of Law and Research Professor of International Dispute Resolution, Kroc Institute at the University of Notre Dame, Indiana, where she devotes her research to strengthening international law in the interest of peace. In 2018, O'Connell was a Fulbright Fellow at the Norwegian Nobel Institute. From 2005 to 2010, she chaired the International Law Association's Committee on the Use of Force, followed by two years as a vice president of the American Society of International Law.